Scottish cereal growers are working with the wider sector on adding a new spring barley category to the national yield competition– the Yield Enhancement Network. 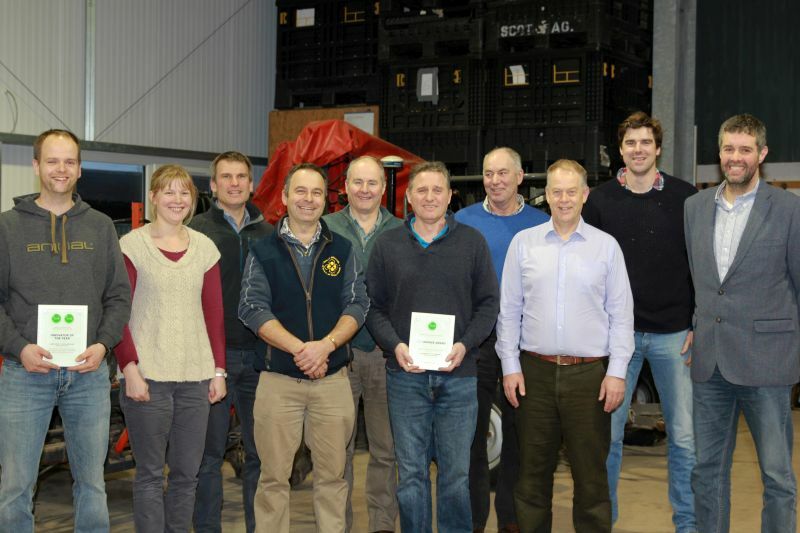 At the inaugural meeting of the Scottish Yield Enhancement Network (YEN) Growers Group, the members discussed how a new spring barley category, which focused on grain quality as well as yield, would give them a better understanding of the crop, and get more Scottish growers taking on YEN. Scottish Group Chair, Aberdeenshire farmer, Peter Chapman explains: “We’ve really gotten a lot out of YEN over the past few years, you get such detailed information on the crop you are growing that you are then able to make changes to your management which results in genuine improvements to yield. As well as technical support and free soil and grain testing, farmers taking part in the YEN can also enter the national competition which awards prizes not just for the highest yield but to those farmers getting closest to their own farm’s yield potential. However, the competition is currently dominated by winter wheat and therefore the potential yield model used is not as suitable for barley crops, particularly spring barley. For this reason, ADAS, the UK's largest independent agricultural consultancy, is now looking for funding to create an entirely new YEN category for spring barley. It is hoped the category will produce more relevant data and also have a focus on grain quality, something which is vital for farmers who grow for malting. Sarah Kendall, from ADAS, said: “Spring barley is a very different crop to winter wheat, for example its growth period is shorter, the harvest index is different and so is the amount of light and water available to the crop.